Sydney Shop Girl: Simple Biscuits. More Dramality. Rescue Remedies. Simple Biscuits. More Dramality. Rescue Remedies. You know what they say about the simple things in life often being the best? I think it's especially true of home made biscuits. And no one knows a simple but delicious biscuit recipe like the Country Womens' Association. Over the weekend, I tried a recipe from the CWA's Biscuits and Slices Cookbook which was a gift from A Farmer's Wife (hope you're having a fabulous holiday in London, by the way, AFW). The biscuits I chose to make were aptly named Quick and Easy Biscuits. But I reckon they should be reamed Quick, Easy and Moreish Biscuits. True to the CWA spirit, the ingredients are economical and the end result is a biscuits that both tastes great and keeps well. 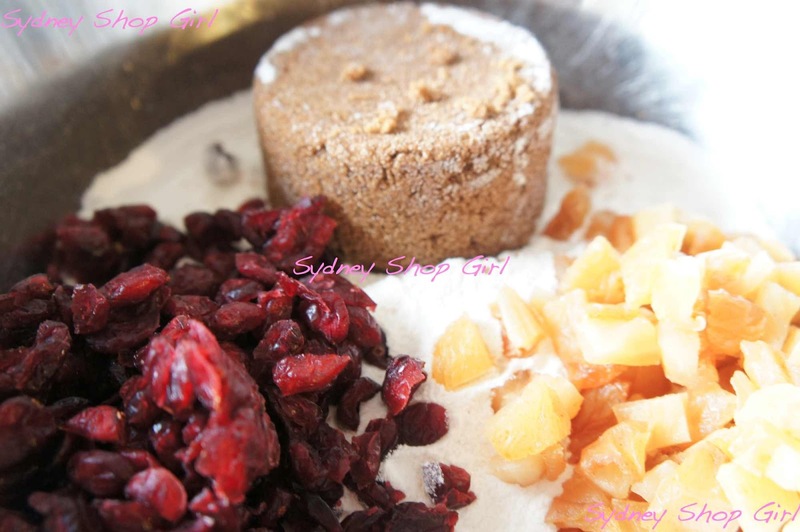 I used a mix of dried cranberries and pear. It was a popular combination with everyone at work. All you need is brown sugar, self raising flour, dried fruit and melted butter. It's the ultimate one bowl recipe, the melted butter makes it easy to stir by hand. So no unwieldy Kitchen Aid to have to wash up after you've baked. I jazzed up the recipe with a teaspoon of vanilla in the batter and a topping of slivered almonds. Baking time is 20 minutes at 180C. When the biscuits are done, cut into squares whilst hot and leave to cool completely in the pan (if you can stop yourself from eating them the straight out of the oven). CWA Biscuits and Slices Cookbook. Pour the melted butter over the first three ingredients and stir to combine. Place batter into a greased and lined tray. They are the perfect morning tea biscuit are best enjoyed with a cup of tea. 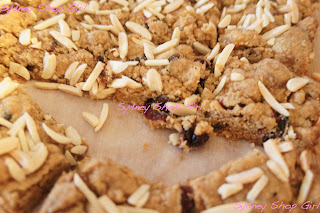 I liked the combination of dried fruit and almonds in my version, it tasted just like a muesli biscuit and because it was home made, it just had to be good for me too. Are you as scared about the upcoming hole in your television viewing as I am? Being Lara Bingle ends tonight and the Olympics will be over by Monday. Not to worry, it's Channel 7 to the rescue. Brynne Edelsten's dramality series is set to debut in the next few weeks! 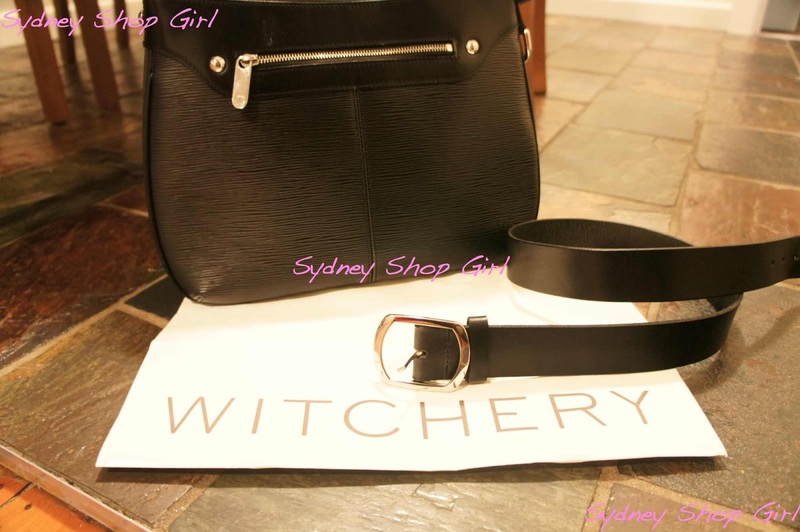 In other exciting news, the Witchery belt I bought at the weekend is perfect for under my bump. Belted trousers again, hurrah! Not so exciting is the fact that I've caught another cold. It's the kind where you only feel human (briefly) after a hot shower before you start sneezing again and your nostrils start feeling like sandpaper... I'm in the process of getting stuck into my rescue remedy of lemonade icy poles, orange juice and having a read about Jennifer Aniston's latest dramas. Take care and I hope you manage to stay free of colds for the rest of winter. It's not long to go, really. COOOOOOKIES! I'm so making these on the weekend. Sorry to hear you're not feeling 100% SSG, get better soon (can you post a bump photo - would love to see how far along you are). Oh they look amazing cookies... Feel better soon. X And thank you for posting the recipe. Hope you feel better soon, colds are just miserable. I've got my fingers crossed that I can scrape through winter without one (benefits of escaping for a month and all) but I do have these suspiciously achy ears. Oh and those cookies look awesome. 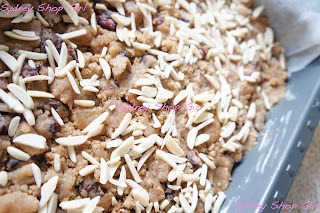 I'm making these cookies right now...so far they're smelling great.